On Monday, Nov 10th, we celebrate the 70th anniversary of C.S. 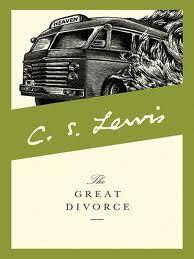 Lewis’ novella, The Great Divorce. 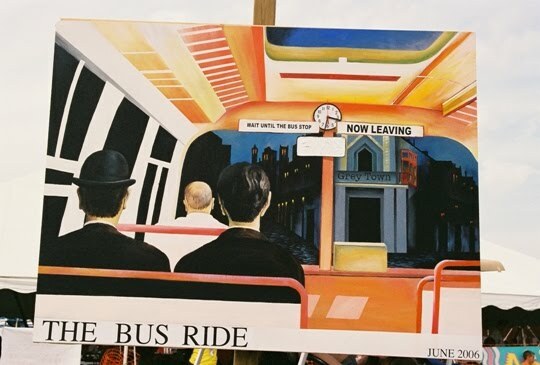 I rank this among the best of Lewis’ fiction and one of his richest thought experiments. Though not one of his bestsellers, I think The Great Divorce will become his Cinderella book–the one we keep returning to again and again to find new treasures. And as we return again, I suspect we will be continually surprised. On Nov 10th, 1944, “The Grand Divorce, or Who Goes Home?” began in the weekly church paper, The Guardian. This obscure little newspaper actually launched Lewis’ career as a public intellectual in 1941 when it began printing The Screwtape Letters. Week by week, demand for Lewis’ (anti-)spiritual advice grew as copies of The Guardian became scarce. Before long Lewis had a book contract, a BBC schedule, and an audience he could never have imagined. The series of heavenly encounters we call The Great Divorce ran from Nov 10th, 1944 through Apr 13th, 1945. The close of the final chapter on Apr 13th was published during a busy week in the WWII context. U.S.-Japan battles heighten into desperation, the concentration camps at Buchenwald and Belsen are liberated, Vienna falls to the Soviets, the Axis alliance shatters, and President Roosevelt dies, leaving Harry Truman to the post of Chief of State, global warrior, and, as we will see, international economic leader. It is also the week that Dietrich Bonhoeffer is assassinated in prison, a desperate last attempt for the Nazis to assert control in the dust of their architecture of war. It was a time that people were asking questions about death, heaven and hell, right and wrong, and the eternal value of a human life. To honour The Great Divorce, I will run a series of reflections on and responses to this little work of theological fiction. Though I will not post every Monday, the series will echo the 1944-45 original run. So between Nov 10th this year and next Apr 13th I will be posting on The Great Divorce. Or, for the very brave, the character that Lewis forgot–a daring and creative fictional chapter that can be hypothetically slipped between the pages of The Great Divorce. If you would like to contribute to this series, send me an email at junkola [at] gmail [dot] com. I will accept reworkings of a blog you’ve published, or an article you’ve written that you have digital rights to. I also welcome your own reblogging or mirroring of your work on your own blogs and digital networks. And, dear readers, please share this call for guest blogs. Let’s shape the blogosphere so that it looks as little like the grey town as possible. This entry was posted in Guest Blogs, Reflections, Reviews and tagged C.S. Lewis, Death, Dietrich Bonhoeffer, heaven, hell, Hitler, imagination, myth, Nazism, The Great Divorce, The Screwtape Letters, theology, WWII. Bookmark the permalink. I’ve never read The Great Divorce before, but I would like to. Recently, I’ve actually been considering the idea of starting an extended reading project, which would consist of time-tested, foundational works of philosophy and theology: works by authors like C.S. Lewis, St. Augustine, Dietrich Bonhoeffer, among other written works, like those of Jim Elliot and Wendell Berry. I’ve been considering this idea because I’ve started asking a lot of questions over the past year, about Christianity, the church, God’s word, the world, theology, and similar subjects. I’ve grown up as a devoted follower of Jesus, and I’ve always been committed to looking for answers in God’s word, but I’m beginning to realize that I need to also look to the wise words of people that have gone before me, to observe their questions, their answers, their stories and experiences, and their conclusions about life and Christianity. I don’t have an overload of excess reading time, because of work and school, but I think that I need to make time for this project. From reading your blog for the past year, I know that you spend a lot of time reading such works of philosophy and theology. With all that in mind, do you have any recommendations for specific books that would be a good place to start? First, the code name “Aspiring Hobbit” is a lot of fun. 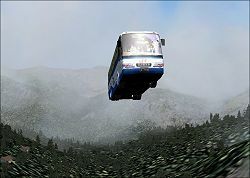 Second, I had a similar journey, though I didn’t grow up in this world. I have been trying to backfill my missing reading for a few years now. 1. 25 Books Every Christian Should Know by “Michael G.” I’ve only read a few of these, but I have 5 year goal. 2. Best All-time Fantasy Novels, 1987. It is dated, missing Terry Pratchett, Neil Gaiman, and J.K. Rowling. But it is a great list of 33. I’m on my 14th in a year 2 of a 5 year challenge. I don’t have a more modern list of Christian writers, but I read Marilynne Robinson, Eugene Peterson, Frederick Buechner, and some Yancey. Perhaps you should read the Great Divorce and blog your response. Thank you for your response and recommendations. I looked over the list of 25, and saw many titles that I’ve always wanted to read but never did. And I’m actually partway there, as I’m currently in the middle of Brother Lawrence’s “Practice of the Presence of God”. The list is right up the alley of my project idea. I’m definitely considering doing a blog response of the Great Divorce; it might even serve as a catalyst for the rest of the reading project. I’ll email you later in the year if I think I will actually be able to write one. The fantasy list also looks very interesting; I’ll have to look into some of the books it mentions. Thanks again! (and thanks for the compliment about my blogger name. You could say it is a reflection of who I want to become in physical aspects of my life– simple living– while reflecting the mindset of community, celebration, and courage that I desire). Reblogged this on The Oddest Inkling. Bam! Well done. Do you want to right a review? PS. when I first read the props on the splash page, I thought it said, “Fascinating as Hell”–sort of an ironic compliment I though. Or even someone involved in the production! David referred to the production “De Grote Scheiding” by Theater Lichtboog in Houten, the Netherlands, on Saturday, 13 April 2013. Did you want to write a review? My Friend Brenton is starting a special series on C.S. 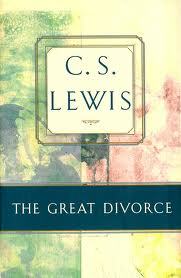 Lewis’s The Great Divorce and YOU can actually be a part of it. I love the challenge this presents. I’m not a total Lewis Nerd (unfortunately, though I try), but I am a huge fan. I’m in the midst of reading The Great Divorce right now. Going to give it some thought and may give it a go, since there’s a sufficient span of time available. I so enjoy your blog! I would look forward to a query for sure. I’m not looking for experts, or even very detailed analyses of this book. The blog could even be tangibly related. I’m envisioning “The Great Divorce” as a springboard to other kinds of thinking and writing. I look forward to reading what everyone comes up with in order to participate. A very worthy endeavor! I have done this, actually, but just for myself. There is nothing really that helpful in it, but it was a good way to do a close reading. I had to track the letters down in a seminary–General Theological, now in all the news. Wow! Excellent! And interesting to hear there are no major differences, since you know better than many how Lewis could significantly revise texts! He could. I think by the time this was finished, his mind was on “Miracles.” They both finished in draft form about the same time (I think). He was also proofing “George MacDonald,” and students were filling up the hallways. There’s really 5 years between his writing the last fiction “Great Divorce” and the first Narnia. Is the “I” of The Great Divorce the person who writes about his friend Ransom in one work and another…? Wataba! There is the key question. It is one of the blogs planned, to ask the question of whether this “I” is friends with Ransom. It would like the WWII-era fiction together. My mind’s mouth waters in anticipation! looking forward to reading these guest posts. no ideas yet, but i would like to try it if i may. Keep my email or send a note to @BrentonDana–I’d love to see what you have. thank you! not sure if i clicked to be notified of comments here. i did not get your reply in my box. i’ll click notify now for sure, and hope it comes in okay for the email address if you kindly reply.